There was nothing quite like logging onto Facebook yesterday afternoon after a peaceful weekend in Napa Valley to hear that hostages had been taken in a café in Sydney, my beautiful and safe home city. As we heard from friends stuck in their CBD offices, family wishing to get home safely and the media reporting minute-by-minute updates on live blogs we couldn’t have felt further away from home. It was hard to pull ourselves away from our screens when we went to sleep yesterday evening and I reserved myself to believing this horrible situation would be over by the time morning broke, but as I woke every 45 minutes or so through the night I couldn’t help but refresh my Twitter feed. 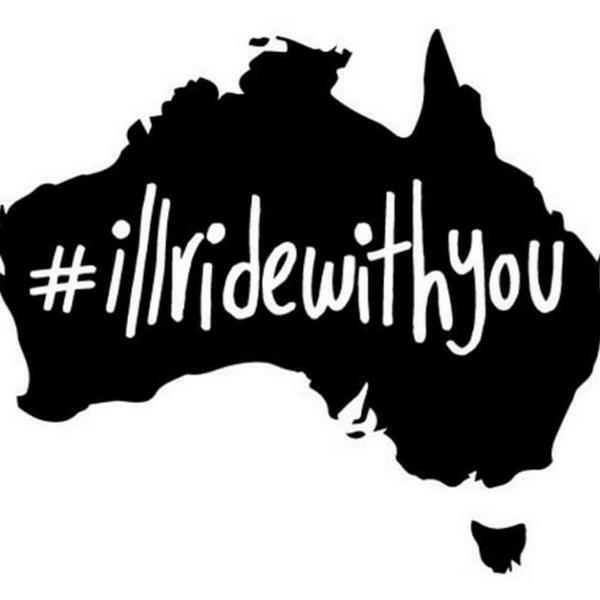 Each time I looked there was no news that the siege had ended so I attempted to go back to sleep again, until I woke at 4.30am (11.30pm Sydney time) and noticed a new hashtag filling my social media feeds: #illridewithyou. As I scrolled through the feeds and saw hundreds and thousands of pledges from my network and beyond to ride with our Muslim community I couldn’t be prouder of my country and the way we rose to challenge fear with peace, solidarity and hope. Though the siege continued, I put down my phone, content that there was so much support out there for a community I was afraid would feel like hostages in their own city. Yet as I lay awake and thought further about the #illridewithyou sentiment I began to consider the experiences I’ve had on public transport since moving to America and realised just how much we need this solidarity to spread around the world for all marginalised and vilified groups of people. I spoke briefly about homelessness in San Francisco, the city I now call home, in my last post here – but this definitely isn’t the only marginalised group in this city. It’s easy to turn a blind eye to these people – the homeless, those suffering with mental illness, the disabled and even the unemployed. You learn to avoid certain areas of town or to turn down an earlier street, but it’s harder to ‘avoid’ on public transport. The first day I caught a bus I noticed the divide – the marginalised groups sat up the back of the bus, seemingly to keep out of the way of ‘the rest’ of society. Unbeknown to me, I made my way to the back of the bus and sat on a available seat next to a man muttering to himself with many of his life possessions on hand. I could feel the gaze of others on the bus as they chose to stand in the aisle in favour of the spare seats available up the back. Each day I caught the bus the same division occurred and I’ll admit some days I looked for seats up the front before I walked further down the aisle. I’m even more ashamed to admit that a couple of times I’ve heard commuters abuse these fellow passengers – yelling at them to get off the bus or holding their noses to suggest their disgust at their unkempt clothing but I’ve just sat there and pretended I can’t hear or notice this as I burry myself in my phone. My public transport experience hit an all-time low on Friday night when I was catching a train home from a concert very late in the evening. As we boarded the train and rushed to get seats, passengers noticed a man sleeping in the aisle in the middle of eight or so seats. Whilst most bolted the opposite direction as they laughed at his situation, a group of commuters chose to step over him and sit beside him. At first I was impressed by this act until I watched them pull out their phones and proceed to talk selfies with the man sleeping in the background or say things like “do you think this troll will bite me when he wakes up?” Again, I am ashamed to say I did nothing as I listened and watched on, afraid of the commotion that might occur if I stood up to the group. On a rainy, 10 degree evening in San Francisco I am sure this man was purely seeking refuge, warmth and safety from the bitter winter night outside. Instead, he became the laughing stock for commuters and an opportunity for the divide between “us” and the homeless grow that little bit further. So as I consider what #illridewithyou stands for, I want to encourage you to take this powerful statement beyond this week into the way you look at, judge and understand the marginalised in our community. 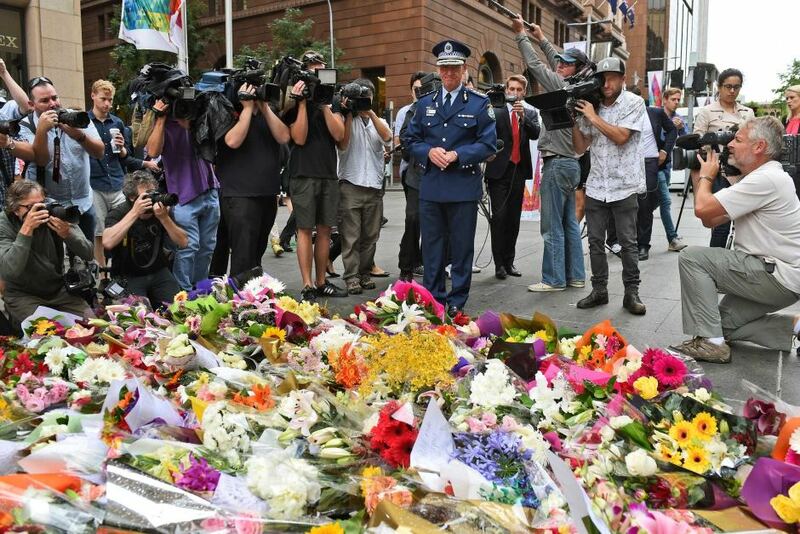 Whether it is our Muslim community who undoubtedly feel unsafe commuting in Sydney at this time, or the homeless just seeking refuge from the cold winter in North America, consider how you might ride with, reside with and abide with the marginalised in our communities every day of the week, going into the new year. My commitment is to not turn away when I see this division and discrimination occurring on public transport in San Francisco, but to stand up for those who might be afraid and deterred from living and commuting in this city. Whether that’s by calling out extreme instances of discrimination or by simply appreciating, accepting and “riding with” people from all walks of society, I challenge you to make this commitment too. 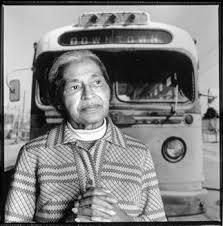 Just as Rosa Parks sought to end a division, racial discrimination, through not giving up her seat on the Montgomery City bus in 1955, join me in standing (or sitting!) to end every instance of division in each opportunity you get. My deepest condolences to the families and friends of the two hostages who tragically lost their lives in this siege, may you find peace and comfort at this difficult time. I also want to apologise to our Muslim community for the way our media and society has portrayed and condemned your religion, I hope #illridewithyou shows just how welcome and a part of our society you are.